27 year old George Stockton is coming back home to breathe new life into a 19th century former beer house on Snowdrop Lane. 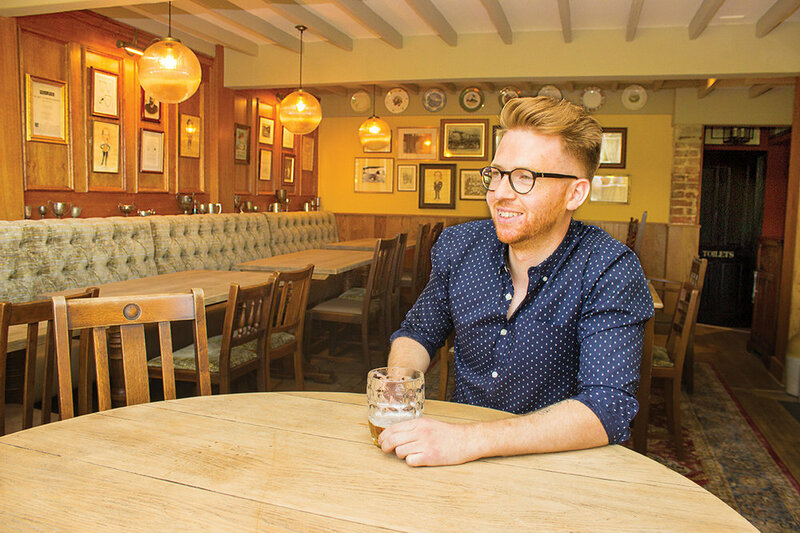 A musician at heart, George went to school at Oathall but discovered his passion for pints while working behind the bar of a Brighton hotel during his music degree. “I found that I actually really enjoyed it and very quickly realised how much I’d love to run my own place,” George commented. He soon got into management and was running the Preston Park Tavern before setting his sights on his own business here in Lindfield. George hopes to bring his ‘young energy’ to the much loved Lindfield pub, saying the focus will very much be on quality, offering great beers, delicious food and fantastic service. While there are still a few loose ends to sort, he expects to be opening the doors early July. Look out on Instagram for updates (@thesnowdrop_lindfield). Father and son team Michael and Jack Willis have recently opened the doors of The Farmers in Scaynes Hill. The pub has seen numerous attempts at running it over the last ten years, but this duo say they are here to stay. The pair have already made a success of their first pub together, The Barley Mow in Selmeston, which is approaching its third anniversary. The Farmers is open every day from midday and will serve a full traditional pub menu with plenty of seasonal specials.